The range is slick, contemporary and will make a bold statement in your house. What's more, black door handles easier to keep looking clean ! We offer this style in 4 functions. Entrance, Passage, Privacy and Dummy. This is for the PASSAGE function. The other functions are available for purchase in the door handle product category here. The rose (base) is 50mm in diameter. The hole through the door is 45mm. 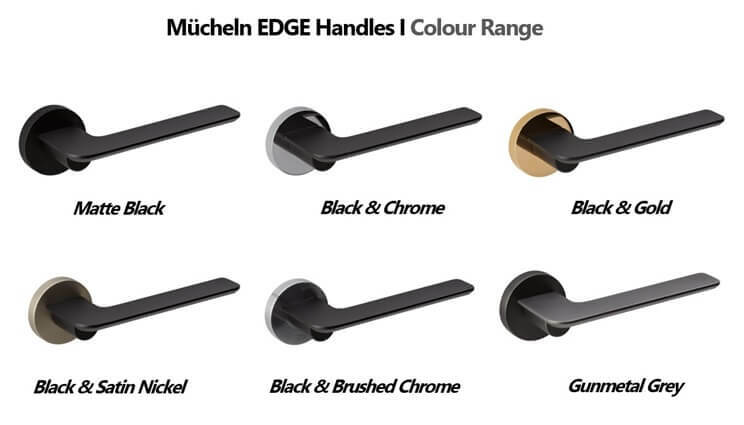 (except for Entrance handles) If you're replacing existing door handles and want to use the same holes, then it would be worth checking your existing measurements against the installation instructions here to ensure they will fit.